Our Most Popular One Person Kit! These products will come in handy during a power outage, car trouble or another emergency. These supplies will provide protection from outdoor weather forces. They will protect you from Wind, Sun, Rain and other harsh condition. 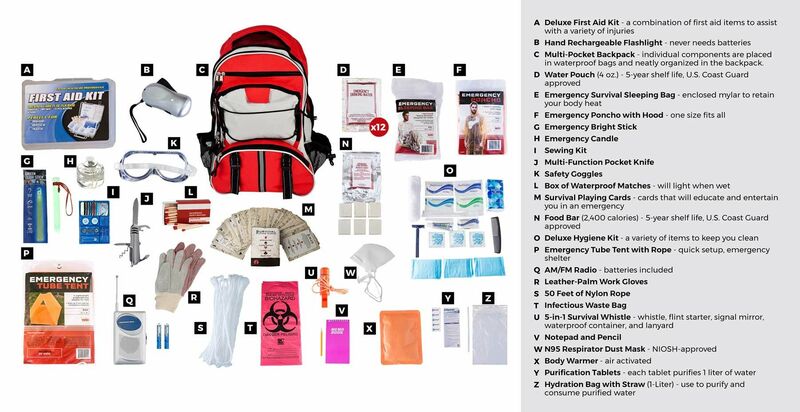 These items are designed to be useful in disaster situations. They will be a valuable resource when you find yourself faced with navigation, transport, personal protection or shelter troubles. 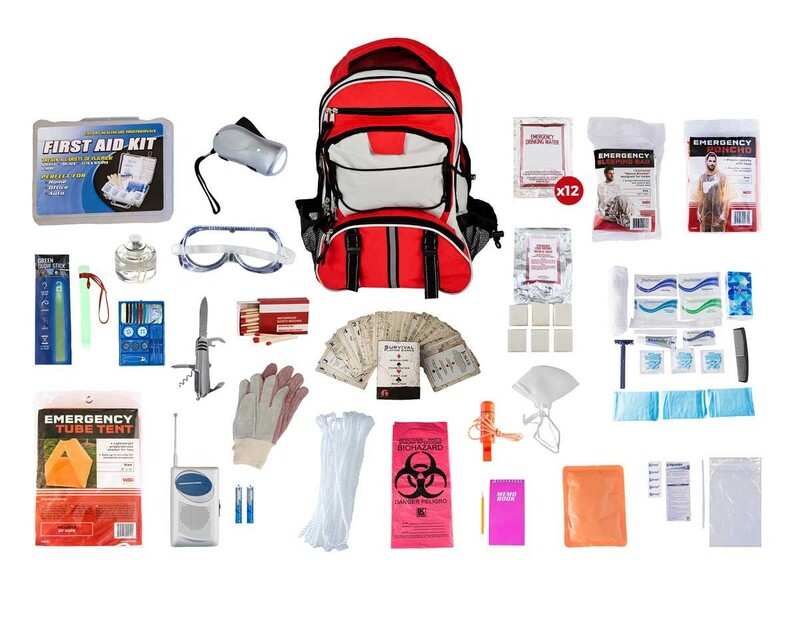 You'll be so grateful to have this hygiene kit during an emergency situation. Staying clean can protect against infection, disease, and depression. These first aid items can assist with minor injuries and protect against serious health concerns in disaster situations. We've added these items to help with stress relief and activity in challenging circumstances.